It’s not a surprise that Joe Perry is vastly known for his amazing voice, guitar skills, and for his contributions to the rock band, Aerosmith – he started playing the guitar when he was only ten. In view of that, it is also not a surprise that he dropped out of school in order to focus on the pursuit of a music career. Since then, he has been able to attain an uncommon feat in the music industry. Not long past, Joe was on the news owing to rumors claiming he passed. This was after he collapsed backstage in New York City. Is he really dead? Find answers to all the questions you have been asking about this musician here. Bio (Age) – Who Is Joe Perry (Aerosmith Lead Singer)? 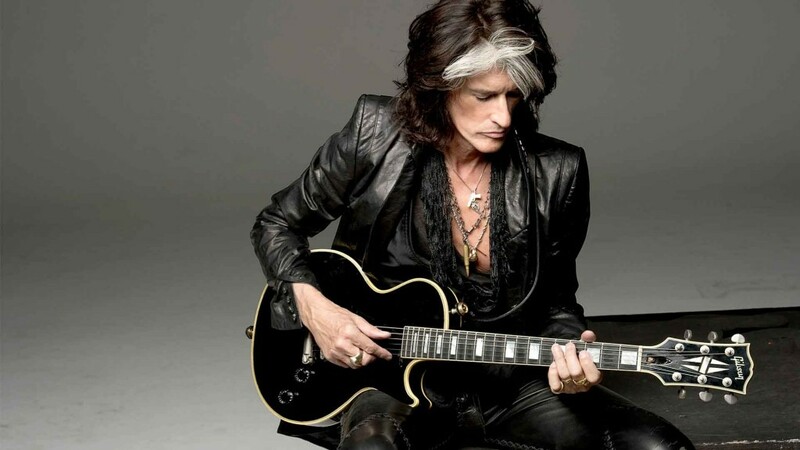 Ranked as the 84th Greatest Guitarist of All Time by Rolling Stone, Joe Perry is the lead guitarist, lead vocalist, and co-songwriter of the American Rock band, Aerosmith. For his many success in the music industry, he was inducted into the Rock and Roll Hall of fame and the Songwriters Hall of Fame. He is also a recipient of the ASCAP Founders Award. At birth, he was named Anthony Joseph Perry; he was born on September 10, 1950, in Lawrence, Massachusetts, United States of America. There are no many details regarding his parents, however, sources say that his dad was an accountant while his mom made daily earnings working as a high school gym teacher. He is the eldest of two children born to his parents; the musician has one sister named Anne-Marie Pereira. Regarding his education, Joe Perry was a student at Prep School Vermont Academy. At the age of ten, he began to learn how to play the guitar with his right hand despite being left-handed. With time, he gained expertise with the instrument but suffered academically. He later dropped out of school and relocated to Boston. Shortly after that, Joe Perry decided to pursue music fully and formed a band – The Jam Band – with his childhood friend, Tom Hilton. The duo later recruited Steven Tyler, Brad Whitford, and Joey Kramer. Eventually, they changed the band’s name to Aerosmith. After the creation of the band, they struggled in establishing themselves in their hometown, not until the mid-1970s when they became one of the hottest band of that period. Songs like Dream On, Sweet Emotion, Walk This Way, Back in the Saddle, and The Last Child, pushed them more to the limelight. Then, fans of the band were called The Blue Army because of their emulation of members of the band. Meanwhile, Joe and Tyler became drug addicts; they took hard substances often times before hitting the stage for a performance. This affected the unity and creativity of the group, making them fall back into several years of struggling. They later released the album, Draw The Line in 1977 which became a hit and earned double platinum. Through the following years, the band embarked on tours. Come 1978, the band released a live collection, Live! Bootleg and a single, Chip Away. They were also featured in the comedy film, Pepper’s Lonely Hearts Club Band. On and on, Joe Perry, despite his air of nonchalance and abuse of drugs, continued contributing to the success of the band. Apart from all his music endeavors, Joe Perry has also made several remarkable performances as an actor appearing in both lengthy films and television series. He currently runs a food company known as Joe Perry’s Rock Your world. With a successful career like his, Joe Perry’s net worth of $120 million is no surprise to many. With his band, he has sold lots of records and has toured around the world bringing music to the doorsteps of many. More so, his acting career, as well as his food company, have ensured that he only gets wealthier. The guitarist’s first marriage was to Elyssa Jerret. The two later got divorced sometime in 1982 after birthing a son they named Adrian. Three years after, he wedded Billie and had two sons with her, Tony and Roman. However, Billie had a son named Aaron from her previous relationship. Till date, the couple is very much together, in fact, Joe has even gone ahead to engraved the picture of Billie on his guitar. Well, there is no reason to worry about the legendary guitarist, he only joined the list of celebrities who have faced the death hoax issue. Sometime in November 2018, Joe Perry was rushed to the hospital after he collapsed in his dressing room shortly after performing Aerosmith’s song Walk This Way with Joel and his band at Billy Joel’s Madison Square Garden concert in New York. Sources say that he experienced shortness of breath while on stage; he was later diagnosed with allergies and anxiety. Shortly after that, rumor had it that he couldn’t make it, this is not true. After receiving treatment for a few days, Joe Perry stormed Sioux City, Iowa, for his next tour.